If there's one thing you need in your room, it's a little more room. 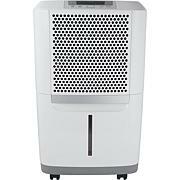 With this personal humidifier, you can save space while enjoying a cool mist for up to 12 hours. The lightweight, portable device works with most standard-size water bottles, making it perfect for home, office or travel. It's a small but powerful way to make your room more comfortable. 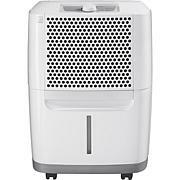 Humidifier should be at least 6" away from a wall for best result. 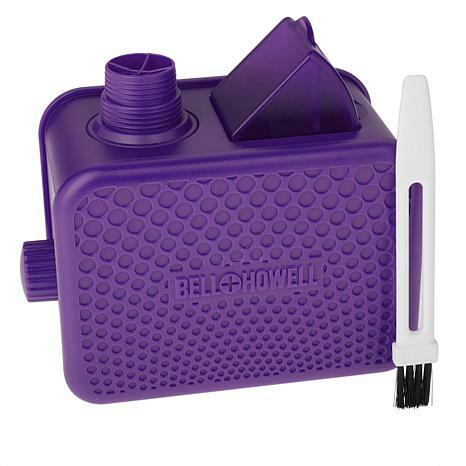 Use only included brush to clean ultrasonic nebulizer. Volume Capacity: Approx. 2 oz. Bought this some time ago, tried it out and haven't used for any real time til now. I have a bad cold and cough, and keeping this going next to me is really helpful to moisturize my throat, and I'm sure the dry, dry house air here in WI. Works perfectly w/ a small 10 oz. water bottle, no leaking. Doesn't tip over. Goes about 8 hours on med. setting and turns itself off then, love that! I'm getting another one. I've had this humidifier for 2 months and it has worked beautifully. Yes, the instructions say not to use tap water, which is different from what was said on TV, so, I put water in a small Evian bottle and put it on the humidifier. I've never had a leak. The great thing is that the humidifier is silent and it automatically shuts off when it runs out of water. I use mine in my office. Item is just right for bedroom. works great! I bought this because of its size. I was waking up with a dry throat. I have it on my night stand, next to my bed. I love it. I'm ordering one for my husband. No more dry throat. No leaking after two weeks. Maybe try a tougher plastic bottle if yours leaks. I purchased because of the small footprint and the portability. Right after I received it, my son caught an awful cold. 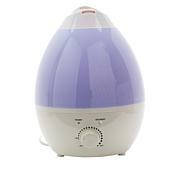 This humidifier fits right on his bedside table and is so easy to use. It really helped him get a good nights sleep. 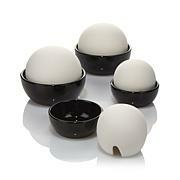 No mess, no fuss, effective and can easily fit in your suitcase!